On March 10– 14, 2019, Human Rights in Democracy Centre, a grassroots Albanian NGO which aims to work for promotion and protection of human rights in Albania teamed with dedicated team of Advocates for Human Rights, USA and directly engaged in lobbying and advocacy activities at the UN level regarding Universal Periodic Review along with colleagues from Ethiopia, Cote D’Ivoire and Russia. 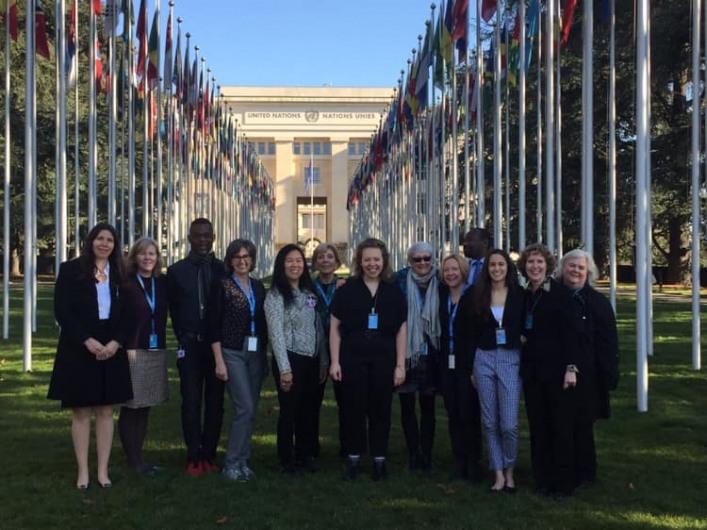 This UN Advocacy experience was indeed very successful as HRDC was able to meaningfully engage over 25 states to advocate recommendations to be put to Albania during its upcoming UPR review in May 2019. If such recommendations will be taken into account, undoubtedly they will help improve the conditions of women/girls, victims/survivors and effective protection of their rights.